TIP: If you would like to get one of these items, go to Etsy.com and create an account. 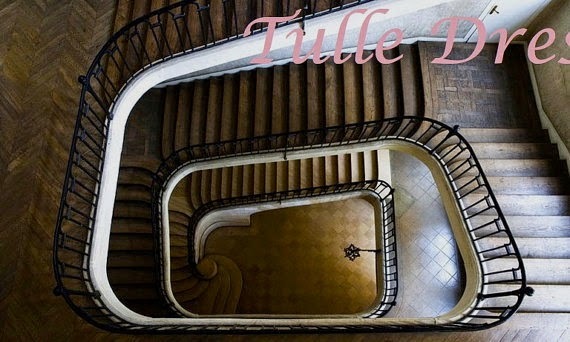 If you create your account with this link (and not one of the links for the products), you will get $5.- off for your first purchase on the site. 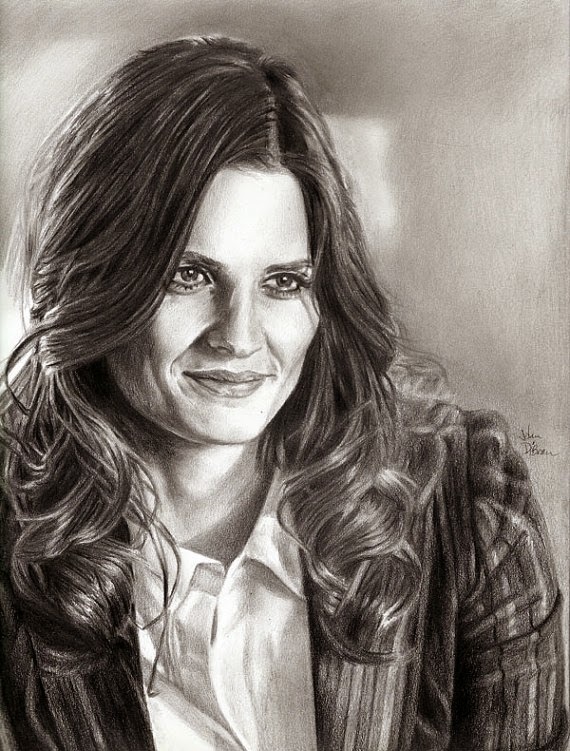 For only $12.- this beautiful portrait of Kate Beckett can be yours. 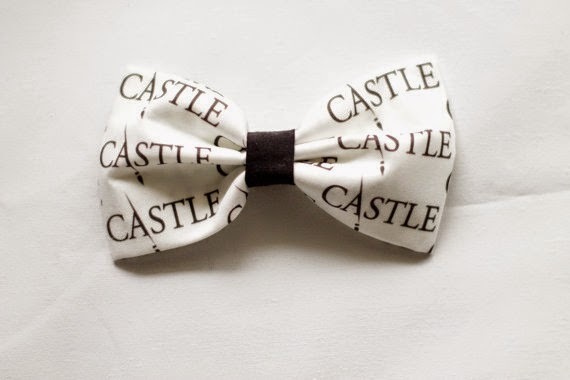 This is probably our favorite Castle item. It is super adorable! 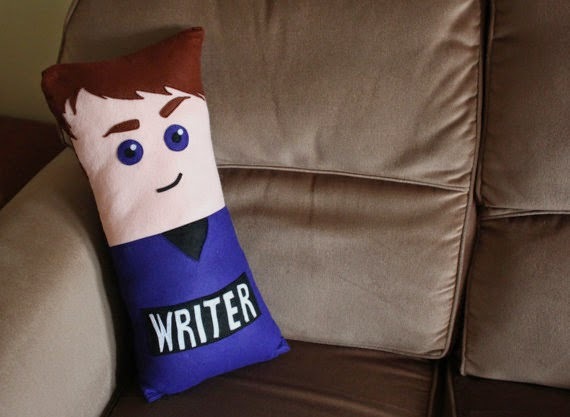 And who doesn't want to snuggle up with their own Richard Castle? You can find this item here. 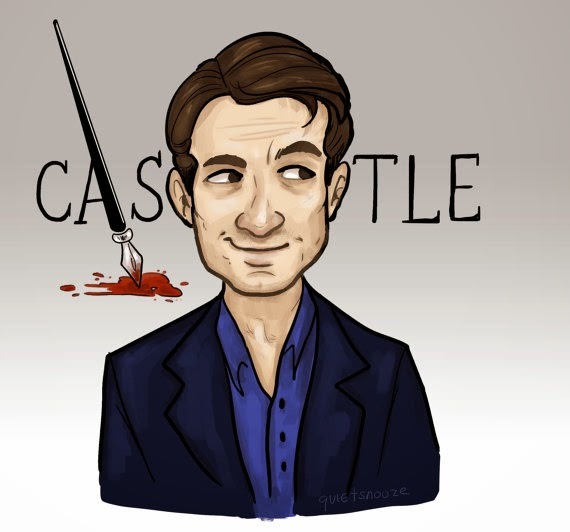 Always wanted a Castle tattoo already, but you didn't know how it would look on you? 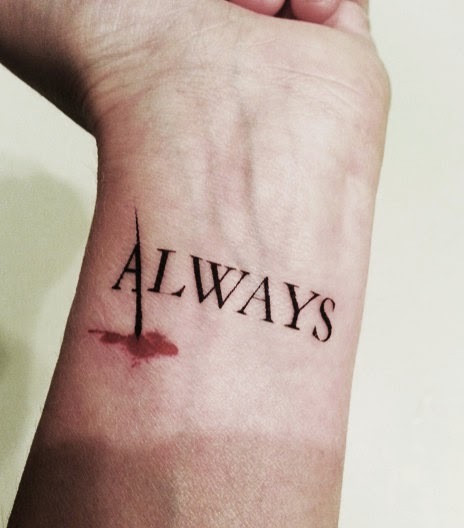 Now you can get your own temporary Always tattoo for just $5.-. Need some decoration for your office or bedroom wall? 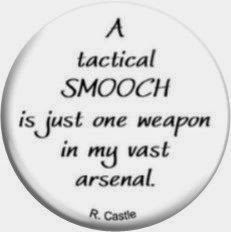 Get the image, which has inspired Richard Castle in writing many best seller novels. 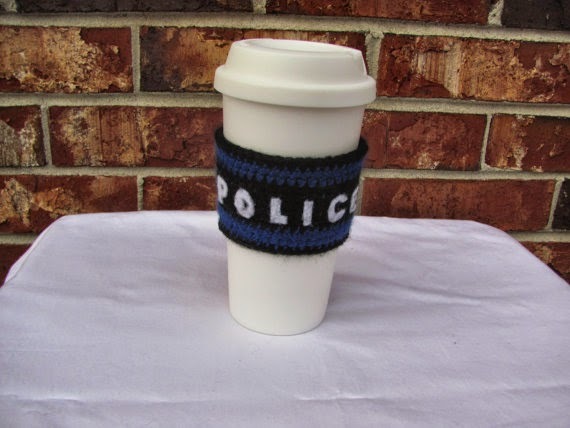 Castle Coffee Cozy - "Police Vest"
Coffee is one of the most important things in life. 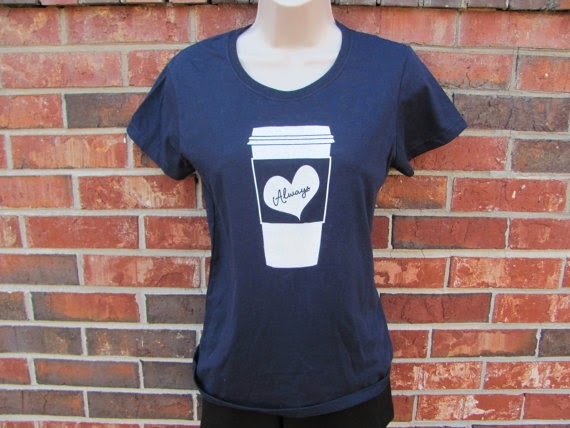 Make sure your coffee is protected by this Police Vest! 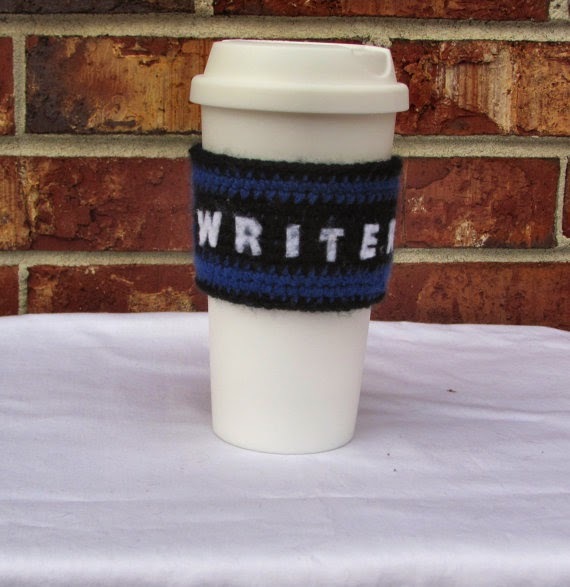 Castle Coffee Cozy - "Writer Vest"
Does your coffee cup need "bulletproof" protection? 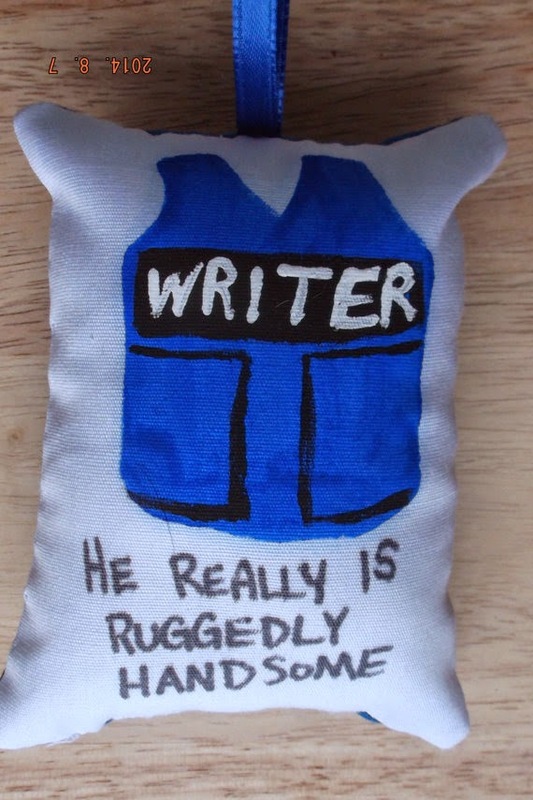 Get it its own vest! Never know what to wear on Mondays? Don't look any further! 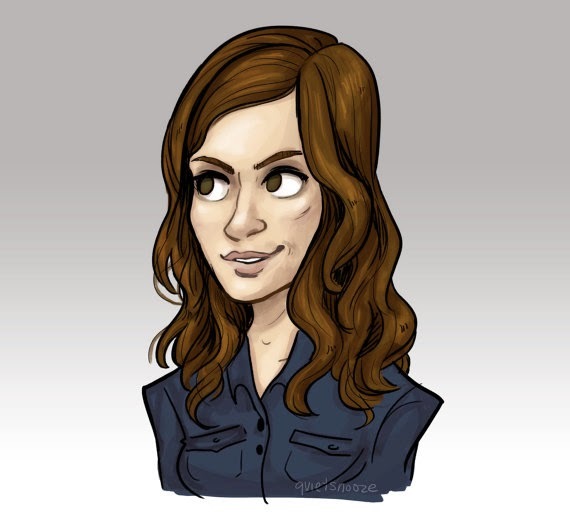 With a Castle shirt, you can show the whole world that you always watch Castle on Mondays! Bling? Ot Shine? Whatever you call it, this awesome necklace is it! 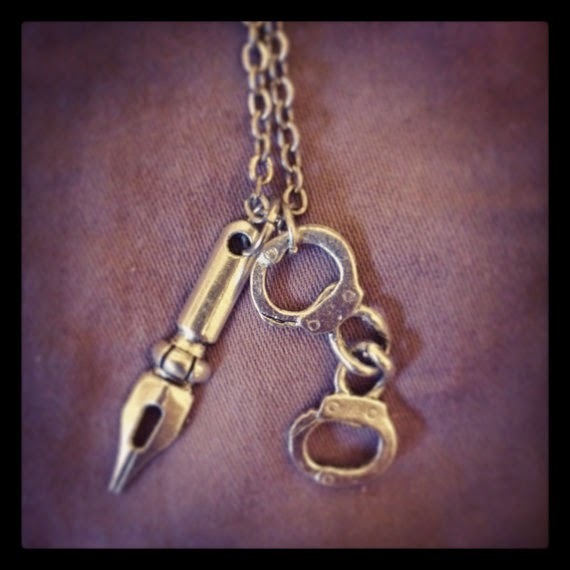 And for just $12.- it hangs around your neck during the next episode of Castle! The only ship that counts: Castle & Beckett. 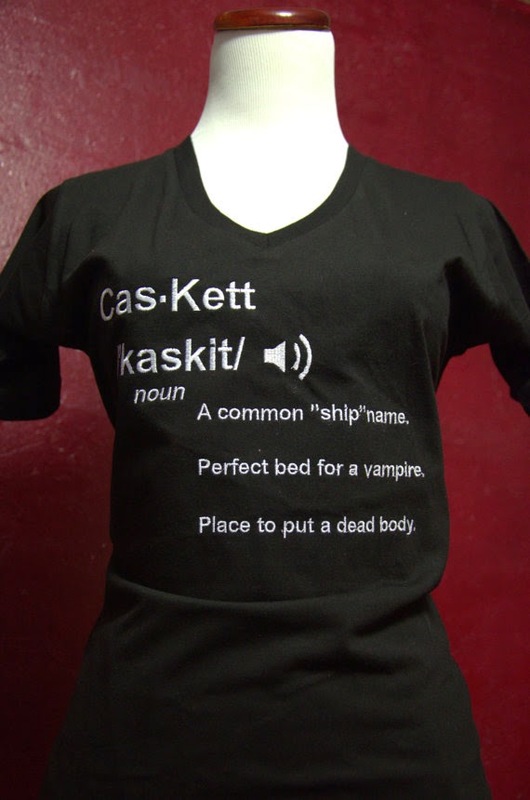 Support your favorite couple by wearing this definition shirt. 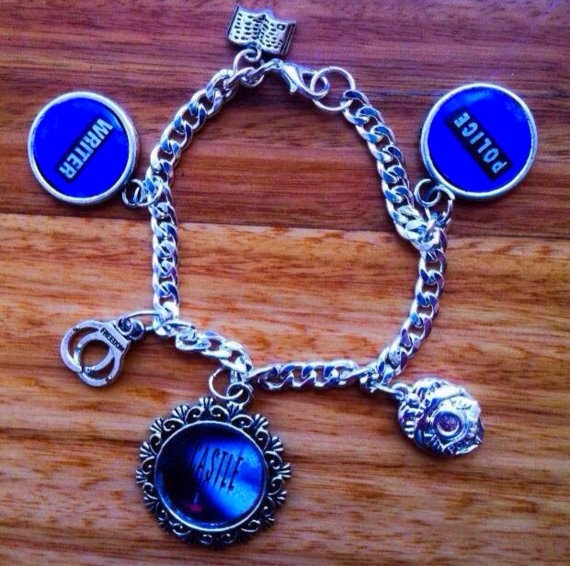 Looking for a present for a Castle fan? 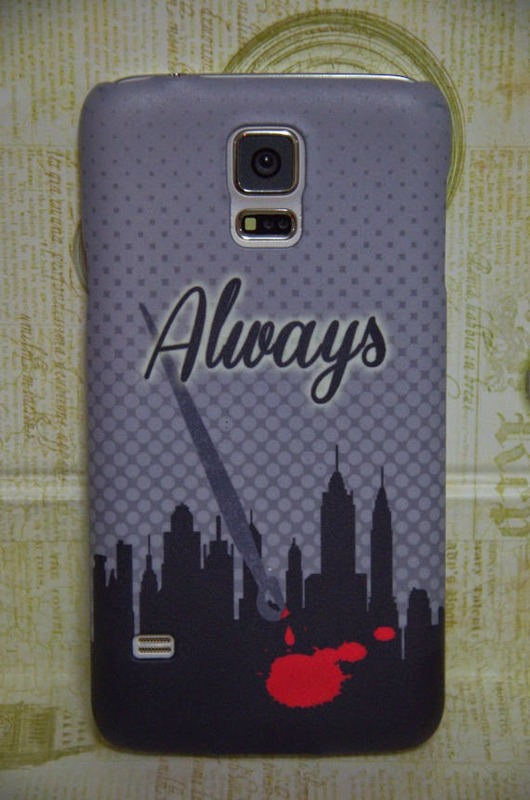 What about this phone case for iPhones (and Samsungs)? For just 1 dollar you can pin one of these buttons on anyone. 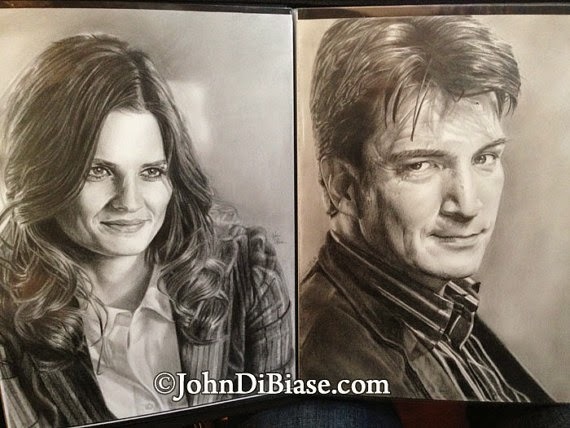 Choose if you want the Castle one, the Beckett one, or both! Bow ties are cool, a wise man said once. But hair bows are pretty cool too. Especially if they are Castle bows! 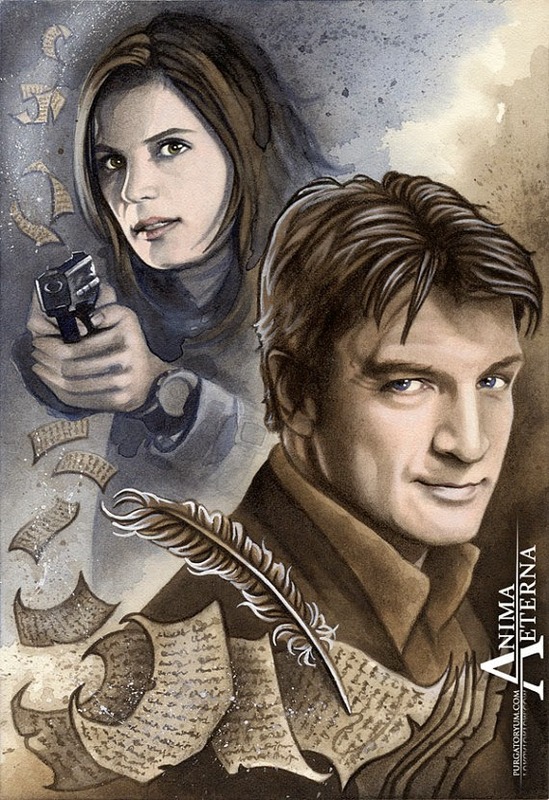 There are many creative Castle fans out there, who create fan fiction, games and fan art. A beautiful work of fan art now can be yours! 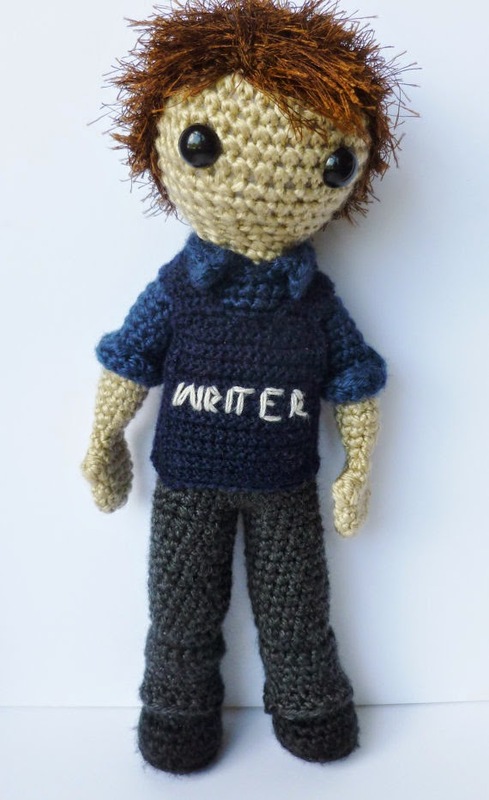 Who doesn't want this awesome handmade Castle doll? It is a little smaller than the real Castle (about 10 inch), which means you can bring Castle now everywhere in your pocket! This drawing is a little more pricey, but if you have some money to spare this drawing might be on your wall soon! And this last item on our list is something from last weeks episode Montreal. Gates was definitely surpassed by this weapon. And again: If you want $5.- off towards your first purchase, make an account here and look around for these cool Castle products and way more.